HP Easy Start is the new way to set up your HP printer and prepare your Mac for printing. 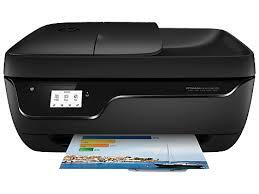 HP Easy Start will locvate and install the latest software for your printer and then guide you through printer setup. -By default disable data collection checkbox for Germany as per GDPR(General Data Protection Regulation). -Added support of 10.14 OS. -Fixed installation failure issue on 10.14. -Optimized the code to fix download failure.